April 23, 1970 – The Chicago Tribune reports that the Commission on Chicago Historical and Architectural Landmarks has voted unanimously to give landmark status to two Chicago historical sites – the Hull House mansion at 750 South Halsted Street and a block of 40 row houses on Alta Vista Terrace, not far from Wrigley Field. The Hull House mansion was built in 1856 for Charles J. Hull, a Chicago real estate broker but by 1910 had become the center for a 13-building complex that was home to the social settlement community of Jane Addams. The mansion and one other building are the only two structures that remained after the University of Illinois began levelling the area for the building of its Chicago campus. 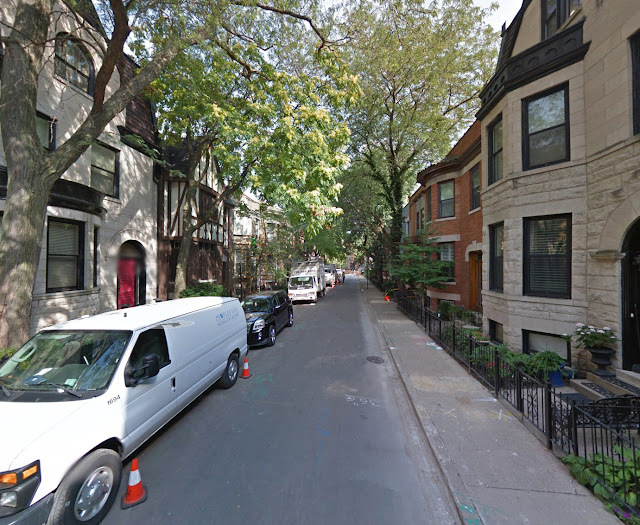 The Alta Vista terrace area is only the second such district to be designated as a landmark, the first being the area surrounding the Chicago water tower on Michigan Avenue. Hearings within the month will determine the status of the Leiter I building at 208 West Monroe Street and the Monadnock Building at 55 West Jackson Boulevard. Leiter I will not make the cut and will be demolished in 1972. The Monadnock, fortunately, will receive landmark status and will be meticulously restored. April 23, 1955 -- The Chicago Daily Tribune reports that mass injections of the Salk anti-polio vaccine for Chicago first and second graders in 65 parochial schools will begin on April 25. 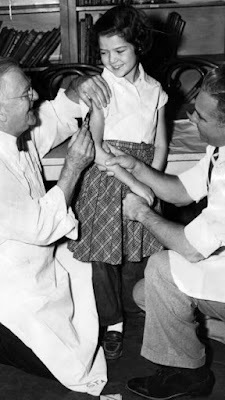 Herman Bundesen, the president of the Board of Health, also announces that the rest of the 16,200 boys and girls in these schools, along with students in 38 private and five Jewish schools will begin receiving vaccinations on April 26. The first shot will be given by Dr. Bundesen at Immaculate Conception School, 1415 N. Park Avenue. Reverend Monsignor Daniel Cunningham, Superintendent of Catholic schools in the city, will be present as well as Mayor Richard J. Daley. Chicago School Superintendent Benjamin C. Willis reports that shots for public school youngsters will begin on May 2 with 89 percent of parental permission slips for first and second graders already returned.